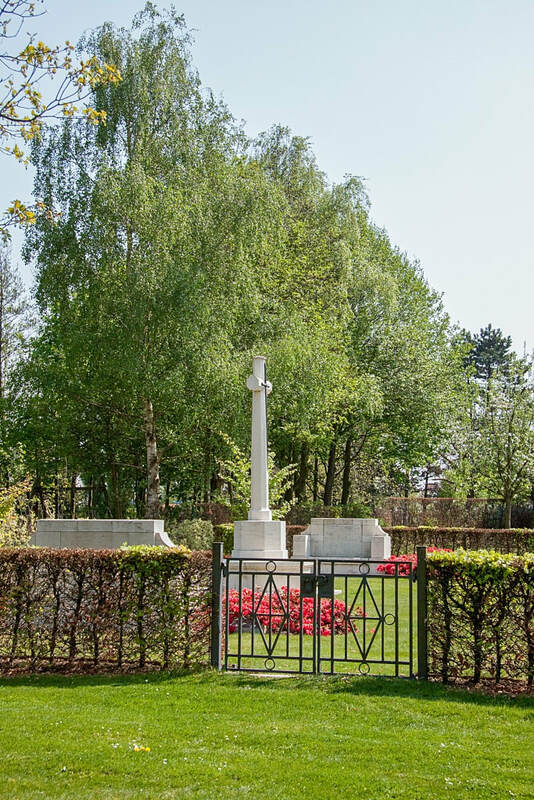 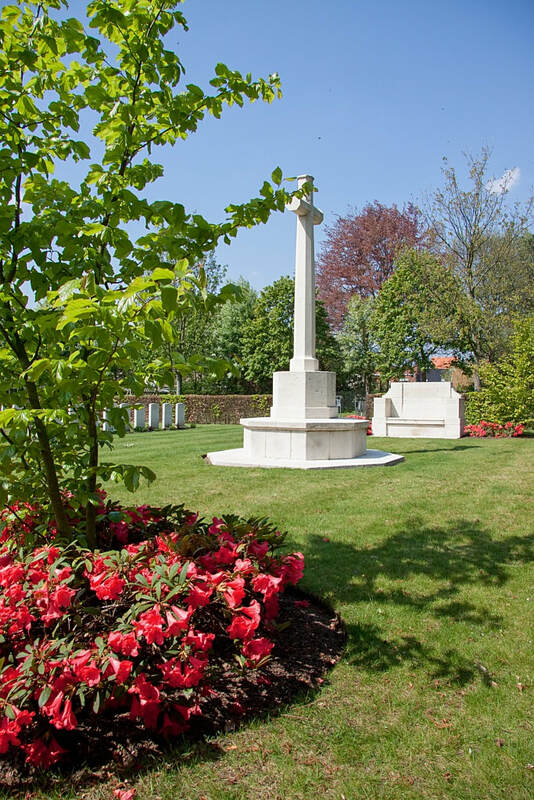 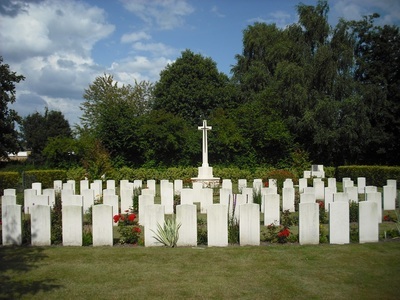 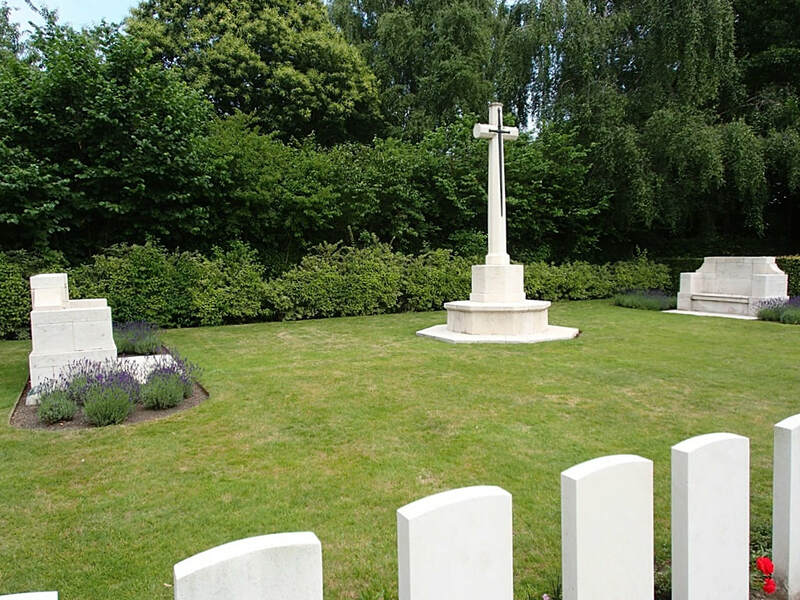 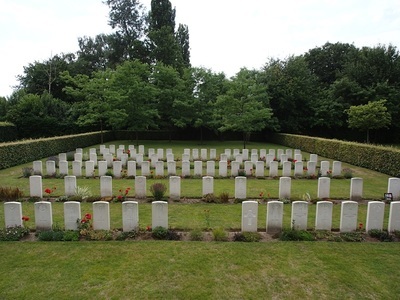 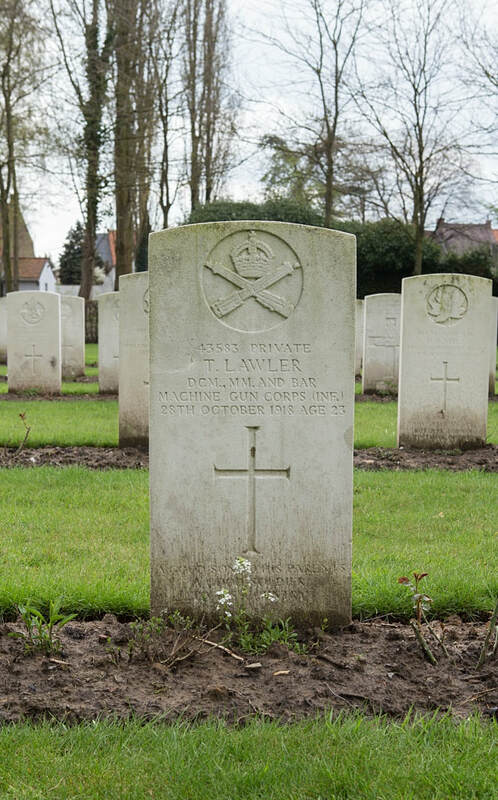 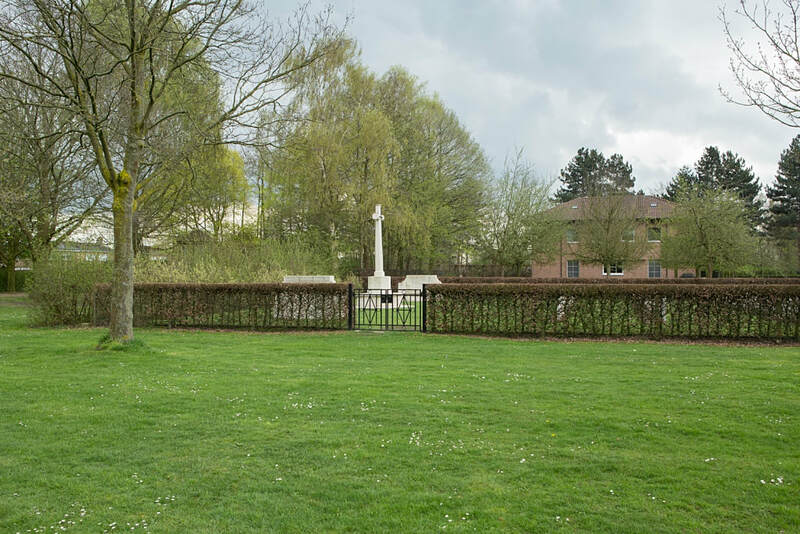 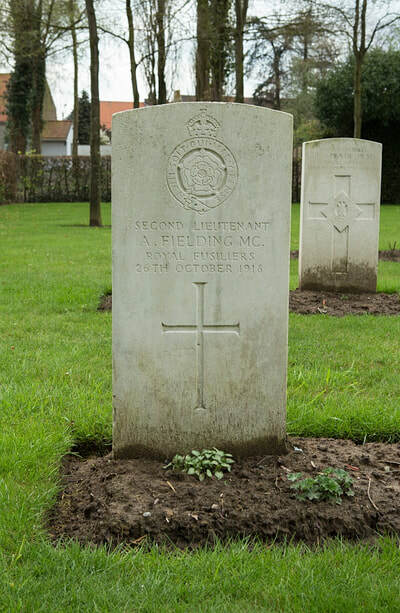 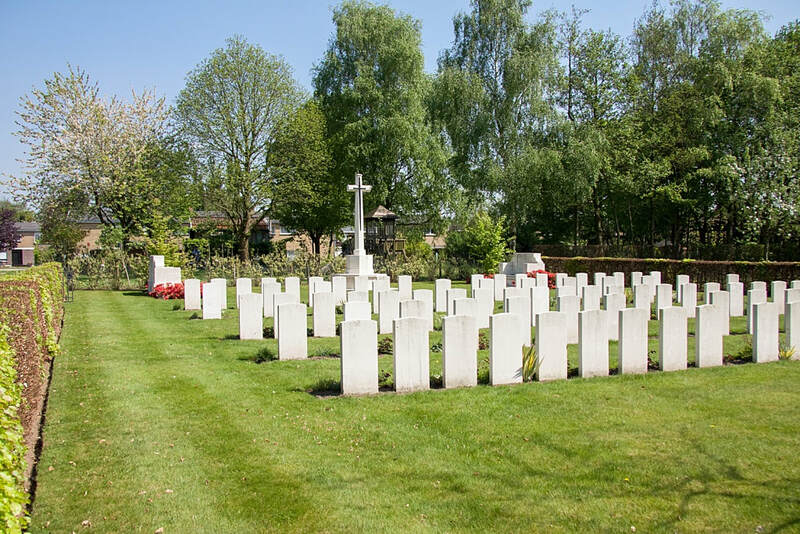 Moorseele Military Cemetery is located 20 Kms east of Ieper town centre on a road leading from the N8, connecting Ieper to Menen and onto Wevelgem. 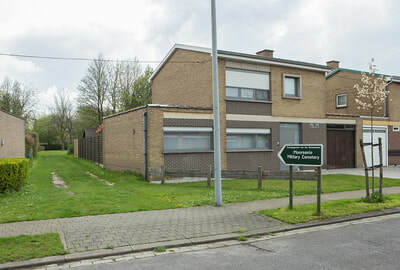 On reaching Wevelgem the left hand turning onto Lode de Boningestraat leads onto the Roeselarestraat and on for 3.5 Kms to Moorseele. 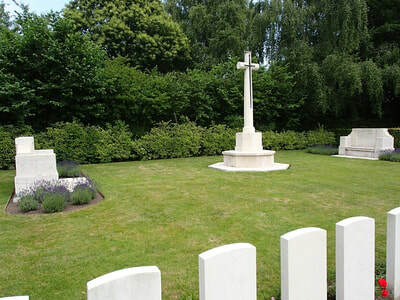 On reaching Moorseele the cemetery is to be accessed by entering a small housing estate called Minister de Taeyelaan, situated off Secretaris Vanmarckelaan. 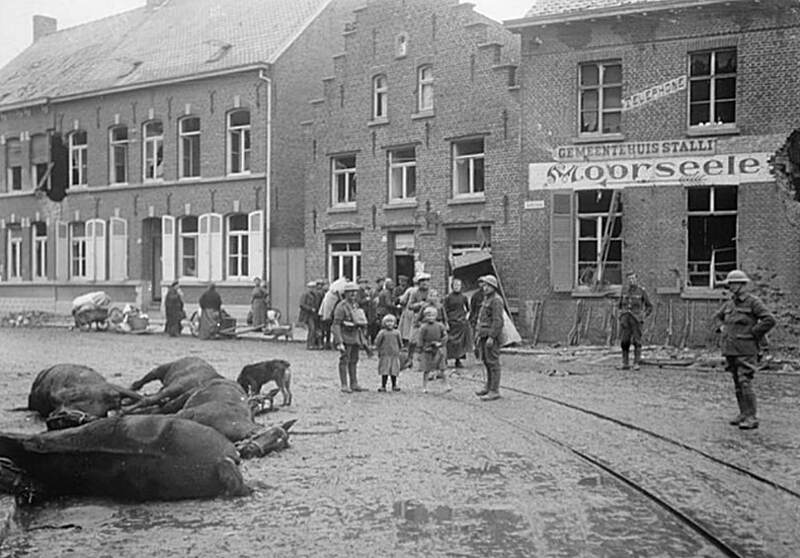 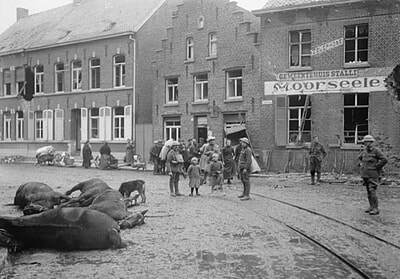 The village of Moorseele was captured by the 15th Royal Irish Rifles on 14 October 1918, after remaining in German hands during almost the whole of the war. The school attached to the Convent of the Holy Family was used by German medical units from October 1914 to October 1918, and they began the cemetery behind the convent in 1915. 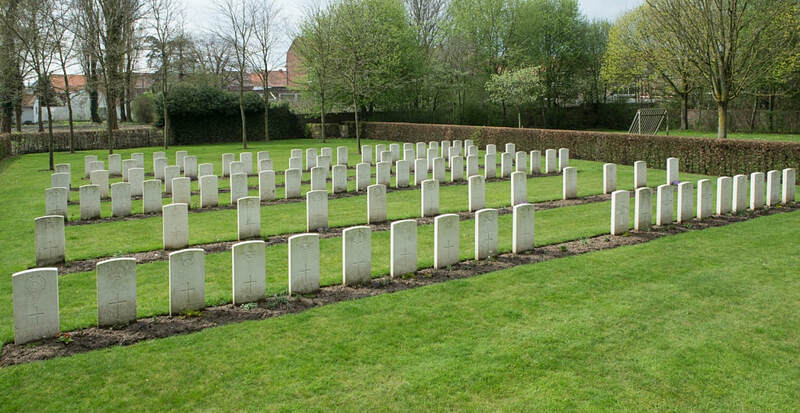 It was also used in October 1918 by the XIX Corps Burial Officer and the 3rd Australian and 64th Casualty Clearing Stations. 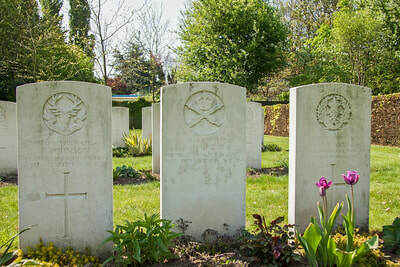 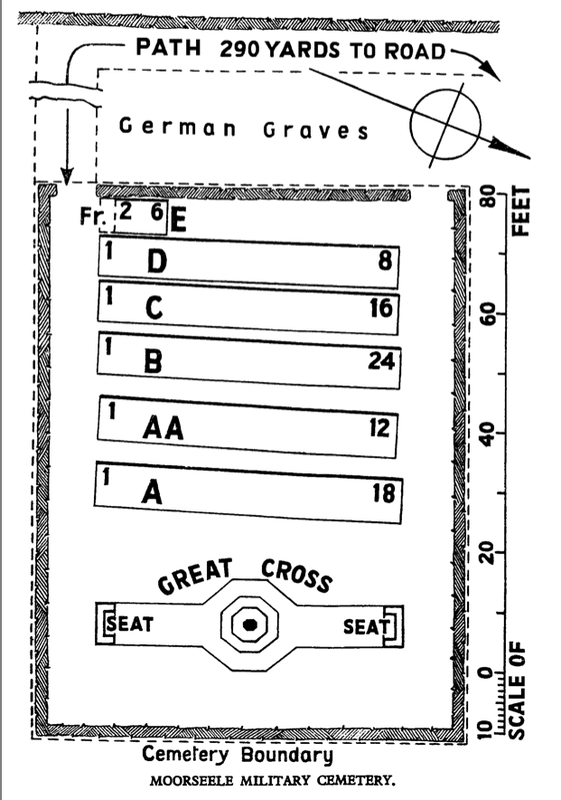 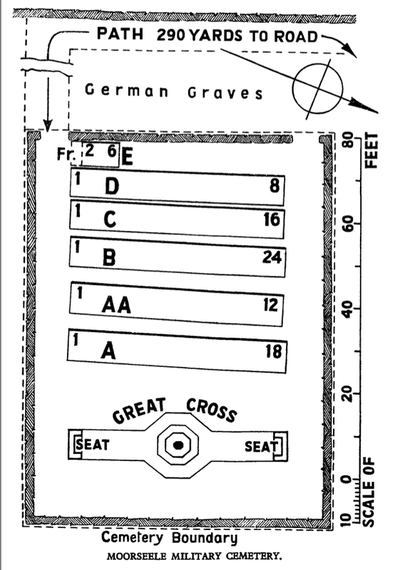 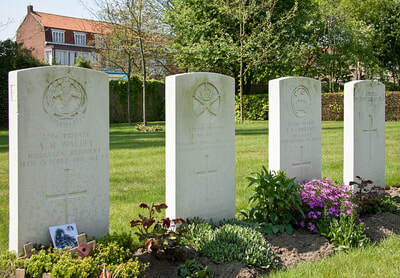 After the Armistice, five graves were moved into the cemetery from MOORSEELE CHURCHYARD (which was used by the Germans until October 1917) and in 1929, one from CUERNE CHURCHYARD. 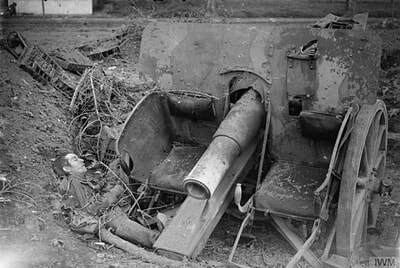 In 1930, more than 800 German graves were removed to Mesen. 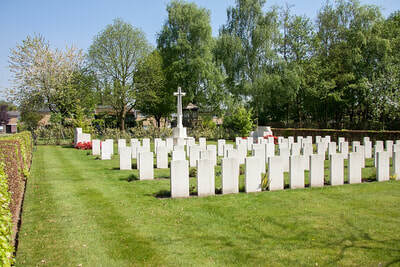 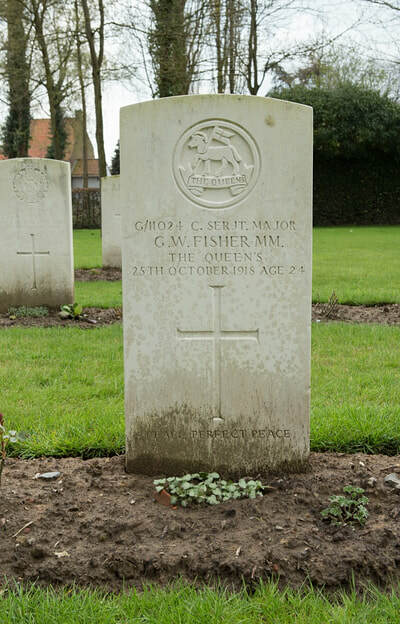 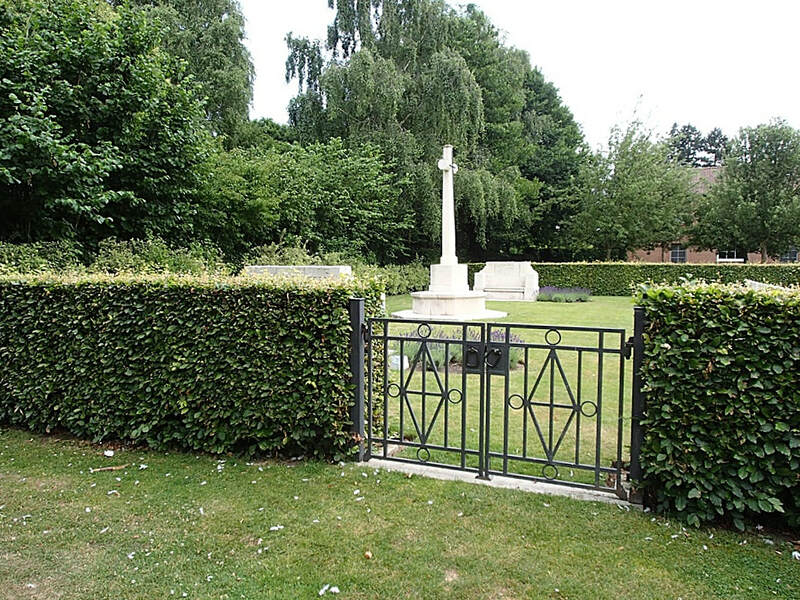 The cemetery contains 98 Commonwealth burials of the First World War.